"Changing the world one divot at a time..."
Here is my latest bracket projections with games as of Monday March 10th. Again, this is not what I think the brackets will look like (trying to guess what the Selection Committee WILL do), it's simply what I think they SHOULD do if they practice what they preach: value body-of-work with slight extra weight for recent performance and quality wins. - Obviously, the San Diego win over Gonzaga took an at-large bid away from the bubble teams, as Gonzaga and St. Mary's are already safely in. Not a bad deal for the West Coast conference, three bids for the 15th best conference. - Right now, I have Syracuse and Villanova in, but they play each other in the 8/9 game of the Big East tournament. It's likely that the loser of the game will get a parting gift of an NIT bid. It seems unlikely that the Big East will ever get more than 8 bids for this reason. 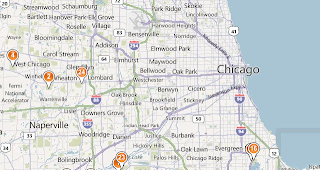 - I have Illinois St in comfortably, but that 30-point thrashing by Drake can't help their cause. The Committee is supposed to look at wins and losses as opposed to margin of victory, but it's never good to have a blowout loss as the last thing the Committee sees of you. I think it says more about the quality of Drake than anything else, although I highly doubt they get the '3' seed their resume deserves. I put up some detailed info on the remaining bubble teams, rank ordered on how I have them sorted on my S-Curve. I used ESPN's bubble watch to guide who was considered a lock and who was still on the bubble (the only exceptions to the ESPN lock were BYU and Missippi St, who I still have as bubble teams). I realize that teams like Nebraska, Wake Forest, Washington, SIU, Texas Tech, Cal, Oklahoma St, Georgia Tech and down to Cleveland St are not even in the running for an at-large bid, but I included them for comparison as they are all currently more worthy than UAB who is still considered a bubble team (ESPN also had Houston listed and they were even further down the list). Florida St and Creighton are two other teams not listed as bubble teams by ESPN, but I feel they should at least be in the conversation. Florida State seems to be in this situation every year. On the lower end of the bubble with some quality wins but overall deflated RPI numbers, a position that you don't really want to be in. Most of the table should be pretty self-explanatory. The QW and QL numbers stand for Quality Wins and Quality Losses. It simply a summation of the difficulty of a team's wins and losses over the entire season. I'd argue that a team that is inferior to another in both QW & QL probably doesn't have a case for having a better profile than another. For each bubble team, I show the RPI based rankings and SOS numbers side-by-side with my corresponding Colton Index figures. Remember, most (if not all) of the differences between the two are caused by nothing more than the wacky nuances of the RPI. Of course, the RPI are the numbers that the Committee has in front of them, and even if they don't play a large role in the decision-making process the Committee has to take them at face value (that they represent what they are meant to represent). So as a bubble team you much rather have inflated RPI numbers than the opposite. The teams most likely to gain from inflated RPI numbers are: South Alabama (25 RPI vs 43), Dayton (33 vs 52), UNLV (28 vs 48), BYU (29 vs 21), Arkansas (50 vs 42), Temple (58 vs 71) and UAB (46 vs 72). Those are large difference right in the sweet spot of teams getting serious consideration. Big SOS differences include BYU (95 RPI SOS vs 136), UMass (60 vs 99), Missippi St (51 vs 84), Ole Miss (60 vs 100), Arkansas (40 vs 80), South Alabama (127 vs 209), Syracuse (7 vs 33), Dayton (41 vs 103), Maryland (15 vs 58), Temple (43 vs 82) and UAB (93 vs 153). If you followed any of my videos or blog posts in the past, you know this is driven primarily by the number (or lack of) 'bottom-feeders', sub-250 RPI opponents, a team has on its schedule, but it may also be influenced because the home/road adjustments are not accounted for in the RPI SOS measure. The team most likely to be hurt by deflated RPI numbers is Arizona State, with a RPI of 75 vs my measure of 37. They have a RPI SOS of 76 where I have it at 18, actually tougher than a slew of bubble teams with better RPI SOS numbers such as Syracuse, Kentucky and Maryland. It's a travesty that Arizona St's schedule looks easier than Dayton's, Missippi's and UNLV's, for example. I agree with the RPI in that their non-conference schedule is extremely weak, but that NC SOS drags down their overall numbers to the point that they are barely in the conversation as a bubble team. See what the seemingly benign decision of playing teams like Florida Gulf Coast (RPI 291, non DI last year), Coppin State (266, 246 last year), Idaho (302, 305 RPI last year), and St Francis (PA) (313, RPI 321 last year) can do to your tourney chances? I currently have the Sun Devil's as a 9 seed although I'm willing to bet they don't get in. Their QW/QL profile is similar to illinois St, Kansas St, Ohio State and is superior to teams such as UMass, Missippi St, Syracuse, Villanova, Ole Miss, Arkansas, Kentucky and Maryland. Other teams that could be hurt by deflated RPI numbers are Texas A&M (47 RPI vs 32), Baylor (40 vs 30), Oregon (52 vs 38), Villanova (56 vs 47), Florida St (63 vs 53) and Florida (65 vs 56). Again, these are real differences right in the sweet spot of teams under consideration. Besides Arizona St, Oregon is the other bubble team with a significantly deflated RPI number (30 RPI vs 4). I plan to update my brackets on a daily basis up until Selection Sunday. I will try to update this list of bubble teams as well. 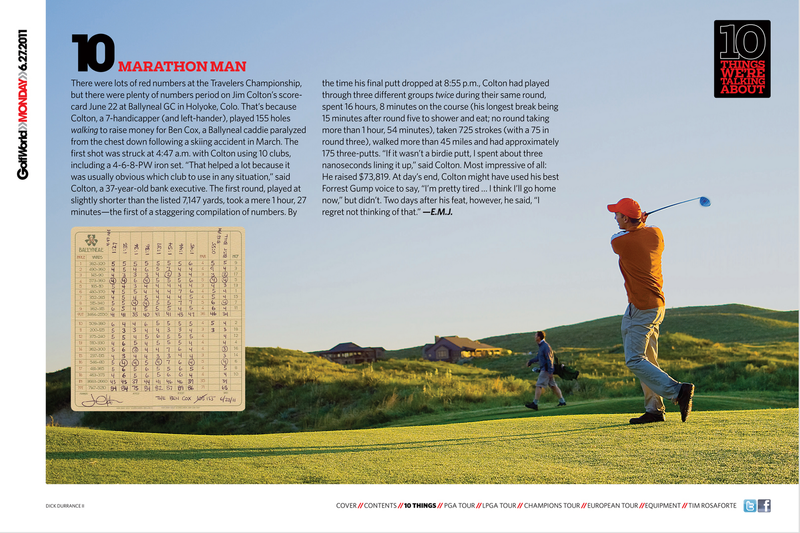 The Hundred Hole Hike (HHH) is a national-network of golf marathons where participants plan to walk 100 or more holes of golf in one day in order to raise money for various worthwhile charitable causes. Please go to http://www.hundredholehike.com/ for more details. My book of golf adventures, "One Divot at a Time...:Diary of a Full-Fledged Golf Addict, Volume 1" is now available on amazon.com for $12.95 $8.06 in paperback or only $1.99 on Kindle. All proceeds go to Ben Cox and his family. Check it out! My New Augusta National Quest - Post 7 - "The Remission Road Trip!" Ska du hyra ut din bostad eller lokal? Jim Colton, 2008 Masters Champion? 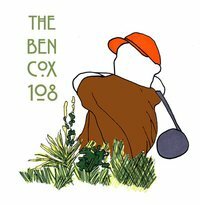 Golf Blog 100: The Top 100 Golf Courses in the U.S.
What: A 108-golf marathon to raise money for Ben Cox, a Ballyneal caddie who was paralyzed from a severe skiing accident in March. 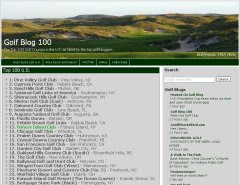 - Colorado Golf Association website: "Going the Distance for a Good Cause: Ballyneal member gears up for 108-hole marathon to benefit partially-paralyzed former caddie"
- Holyoke Enterprise: "Ballyneal member aims to help Cox family"
- Cybergolf: "Ballyneal Member Invites Others to Join 108-Hole Fundraiser"